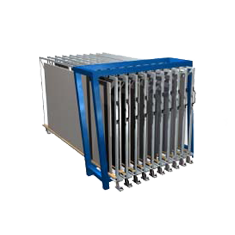 The metal sheet rack vertical is ideal for a compact storage of all your metal sheets and rest pieces. 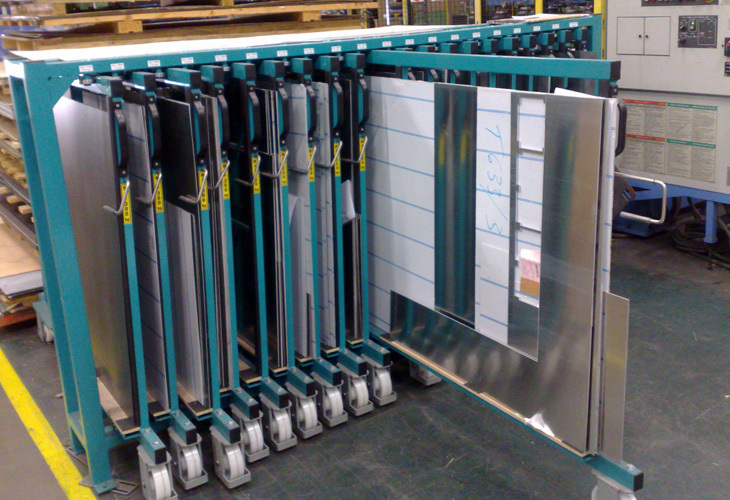 Every drawer can be pulled out directly and provide a direct access to your desired metal sheet. 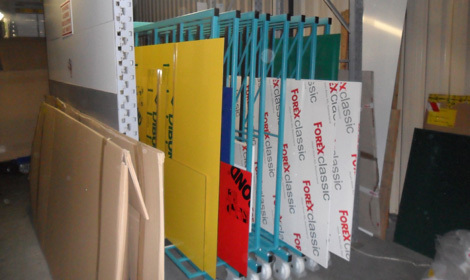 The considerable amount of time gained when storing or extracting your metal sheet will significantly reduce your costs. 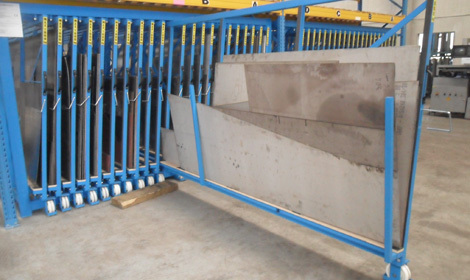 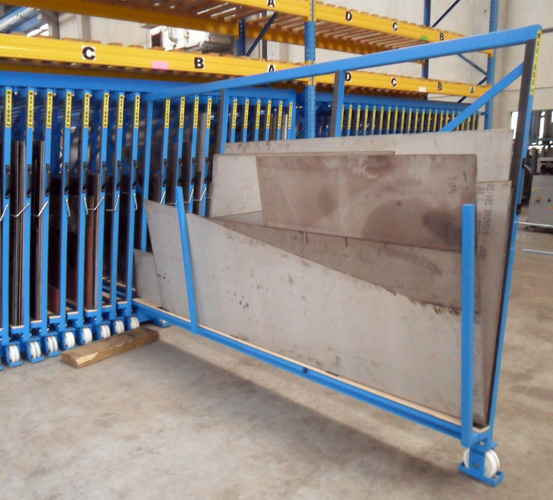 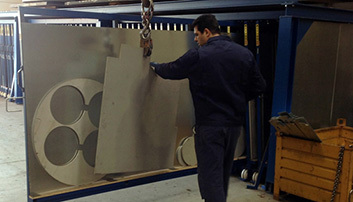 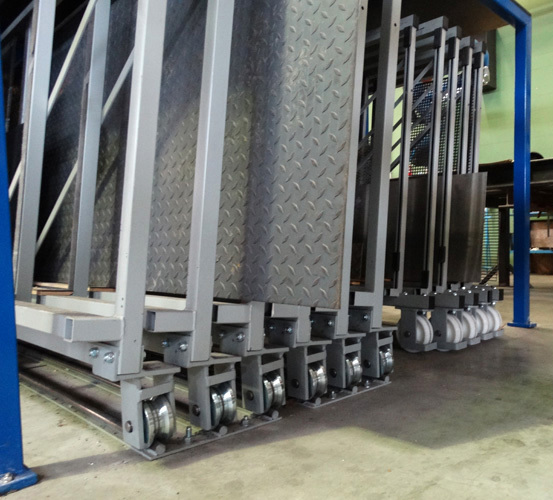 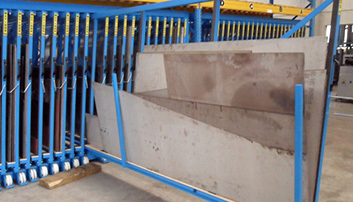 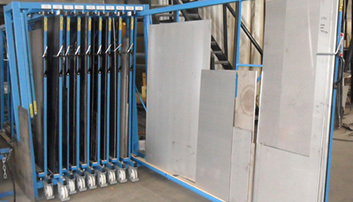 The maximum length of the metal sheets is 6000 mm. 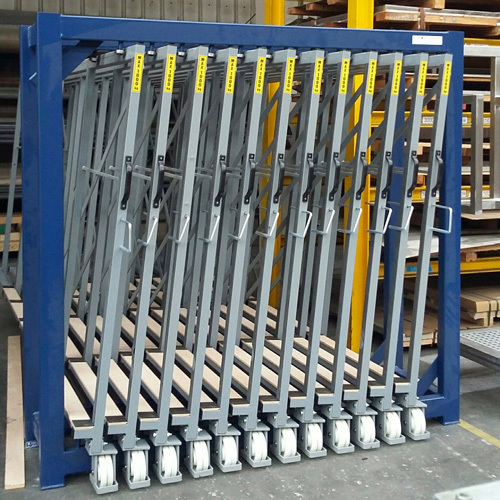 The loading capacity for the drawers depends on the model: light version is 400 kg, the heavy load version is 1000 kg or 2000 kg per drawer. 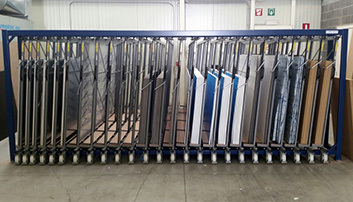 This vertical storage system for metal sheets and residual material guarantees direct access to every drawer and subsequently every metal sheet. 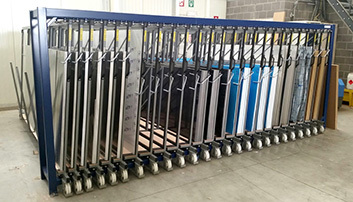 The drawers, equipped with wheels, can completely be pulled out of the rack. 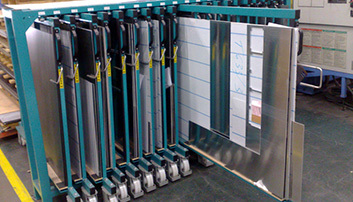 As soon as you open the desired drawer, you gain access to your desired metal sheet. 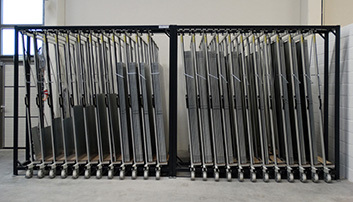 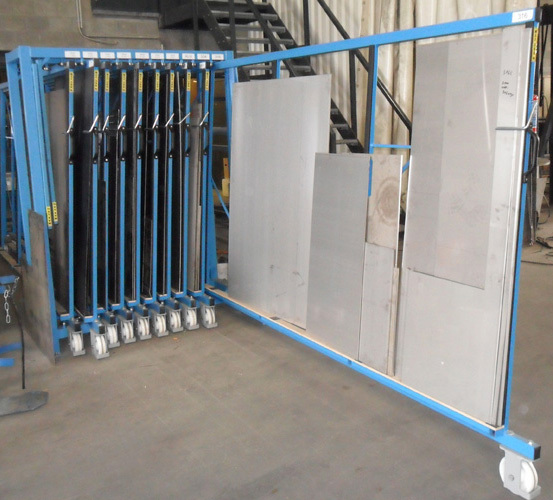 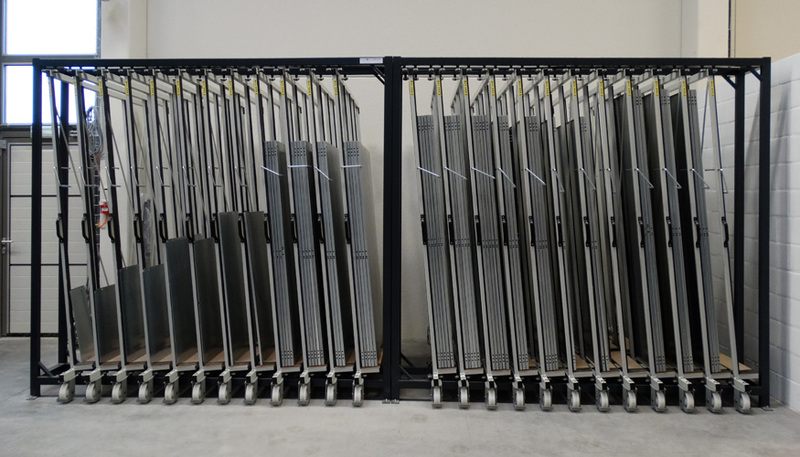 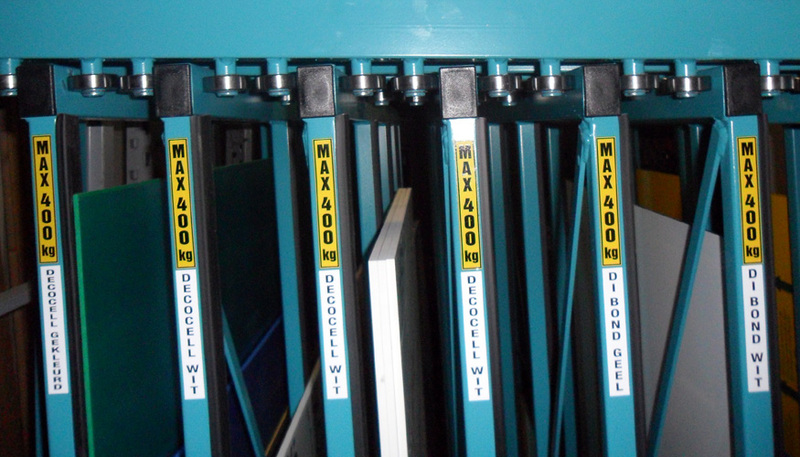 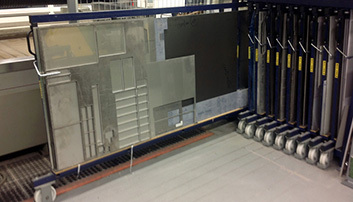 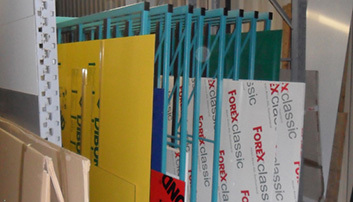 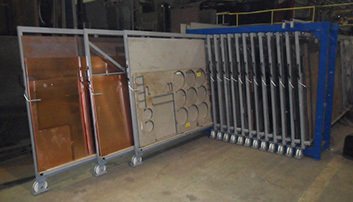 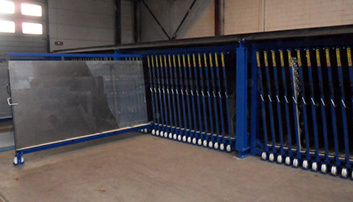 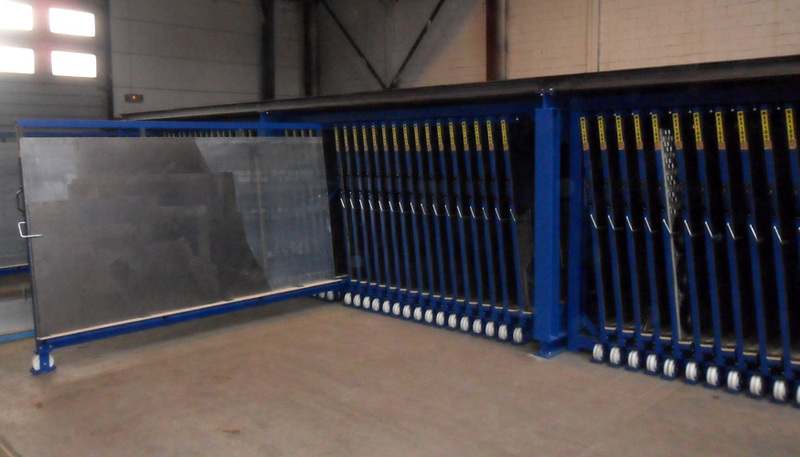 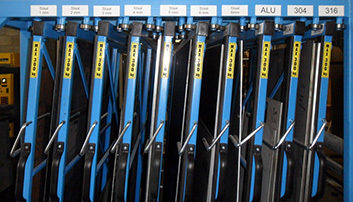 The metal sheets are stored compactly and in an orderly manner for a clear overview of all your metal rest pieces. 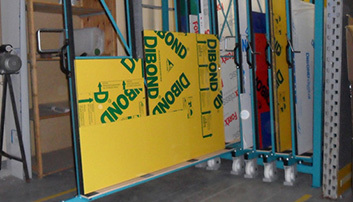 Storage of Dibon and Forex sheets is possible. 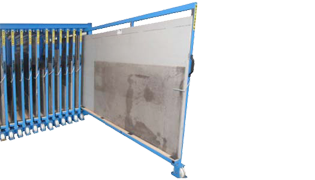 No more damage to your sheets thanks to the easy access. 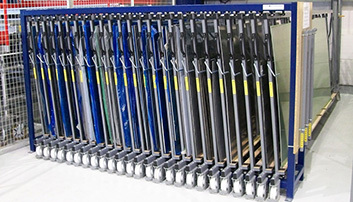 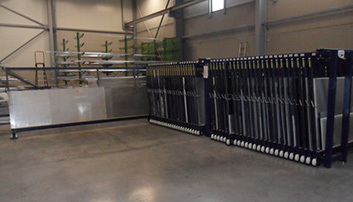 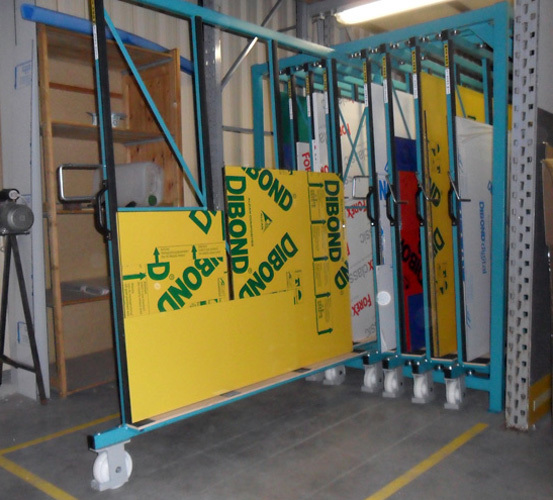 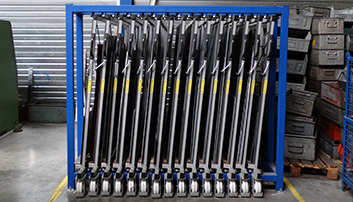 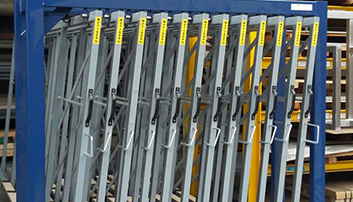 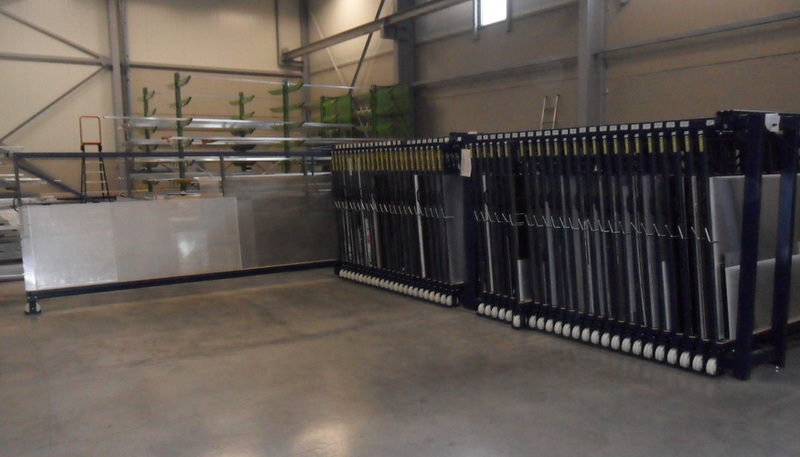 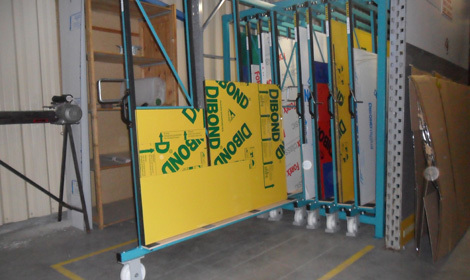 The metal sheet rack vertical is clear and compact storage system for easy and safe handling. 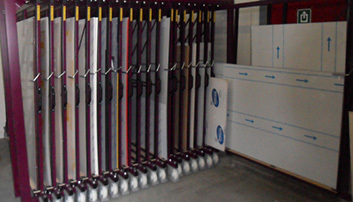 Furthermore, the quick access significantly reduces the costs. 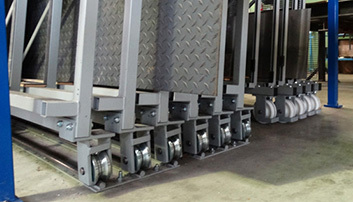 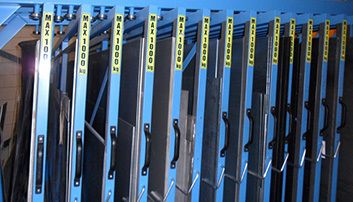 The drawers are equipped with wheels and can be 100% extracted from the rack. 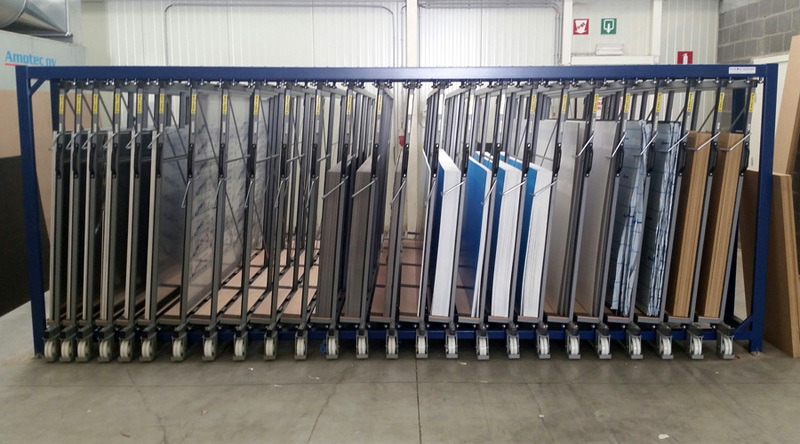 All your steel sheets, aluminum sheets, stainless sheets, … are directly available and can easily be put in or taken out of the drawer. 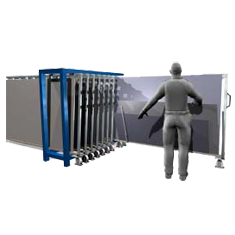 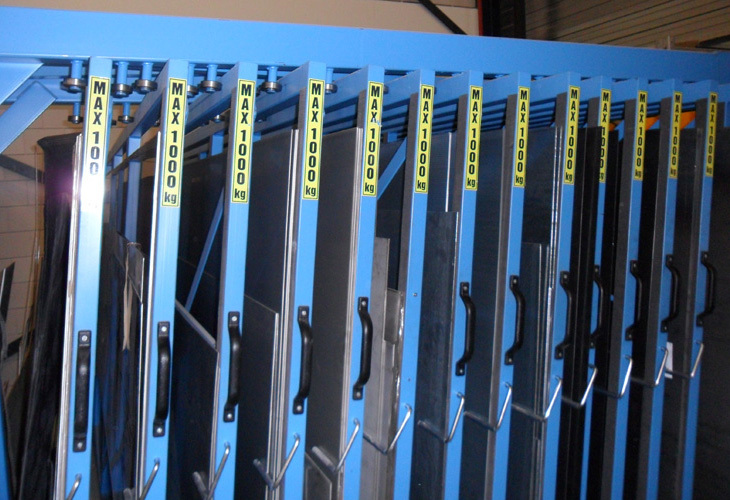 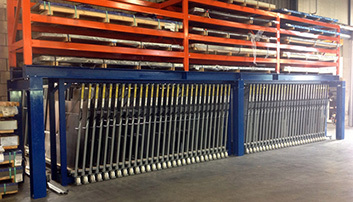 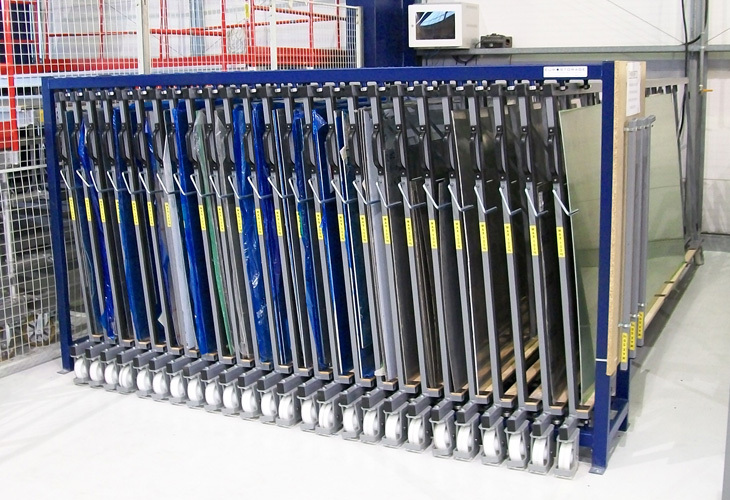 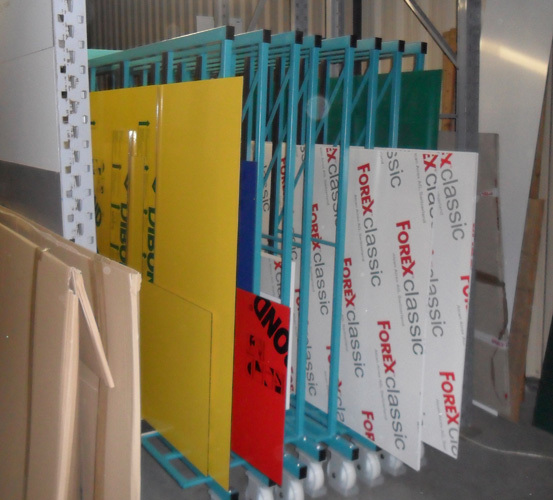 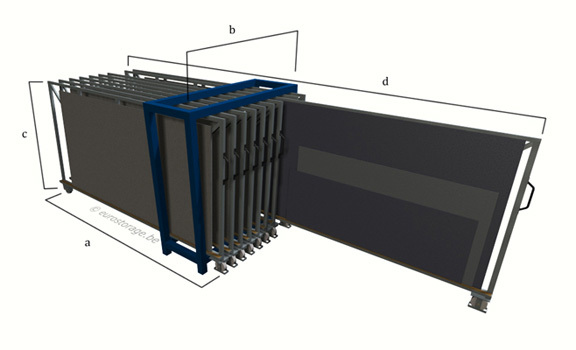 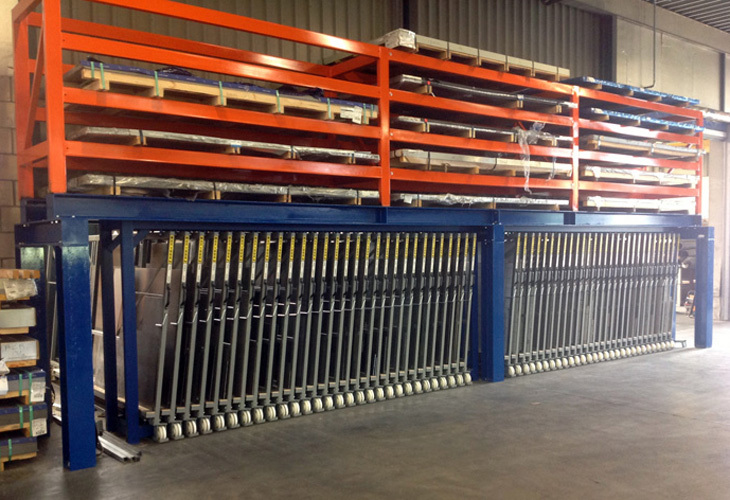 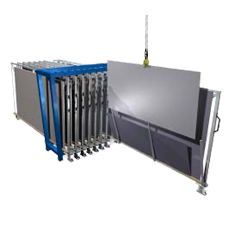 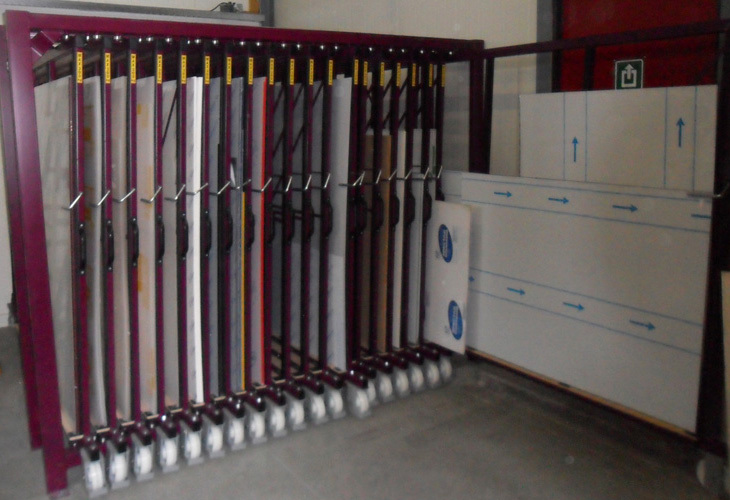 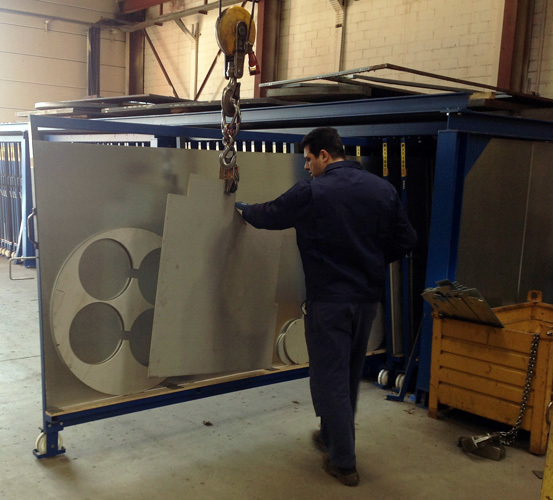 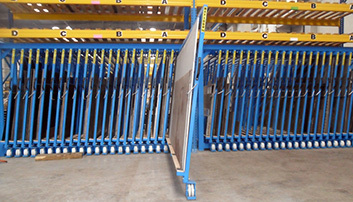 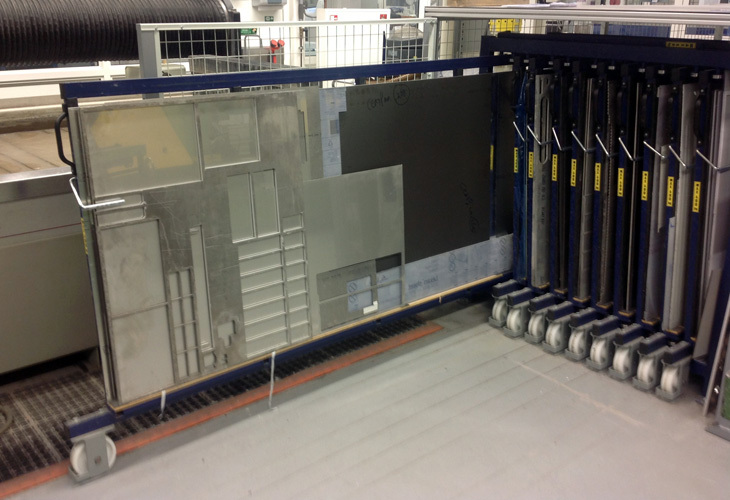 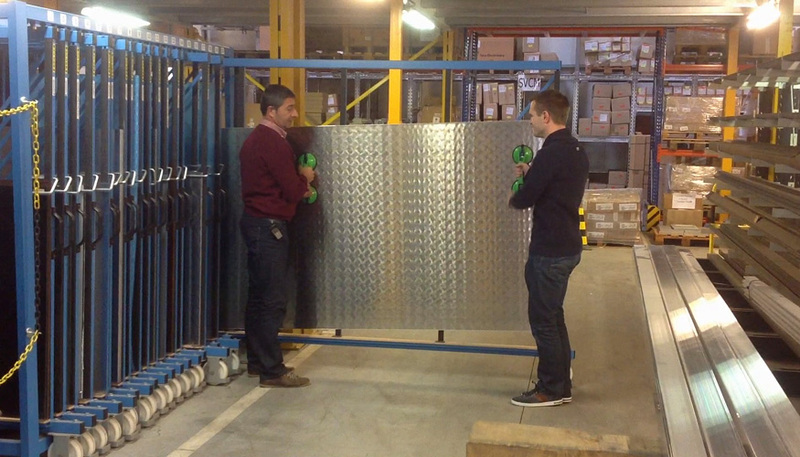 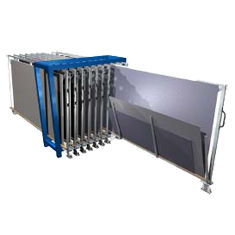 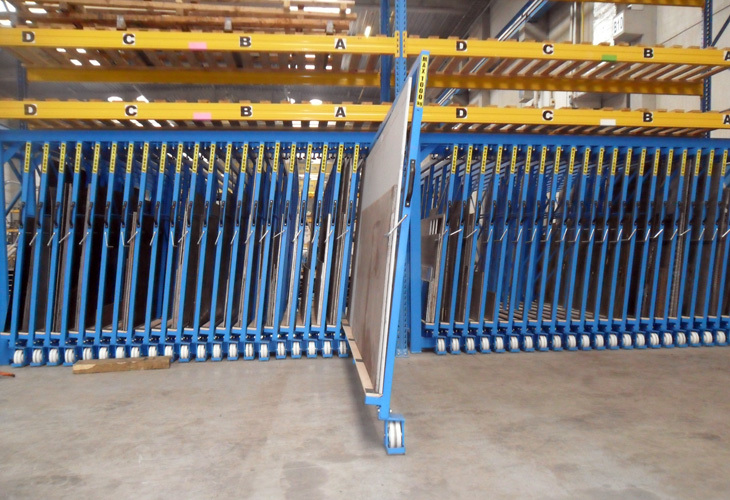 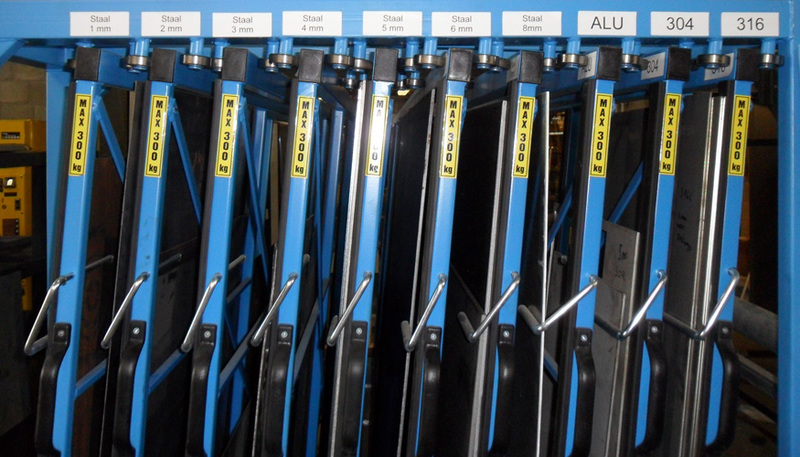 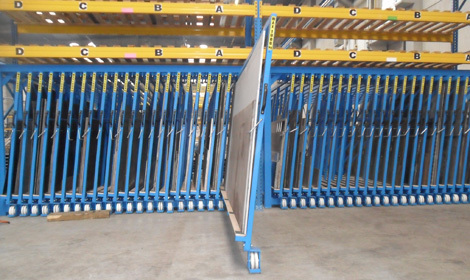 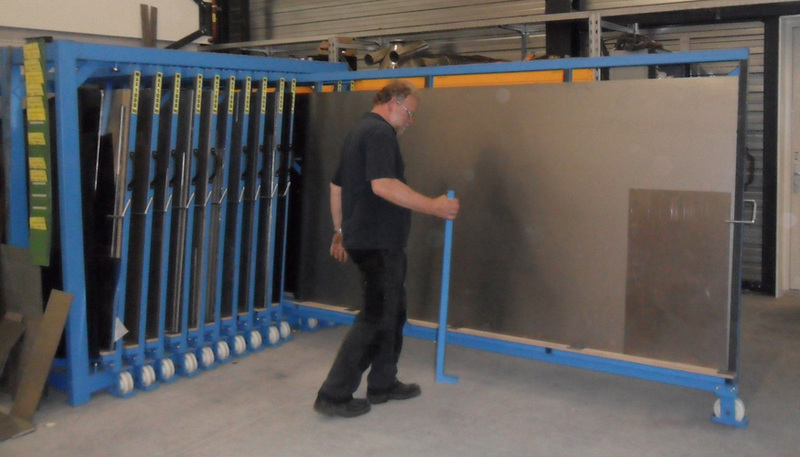 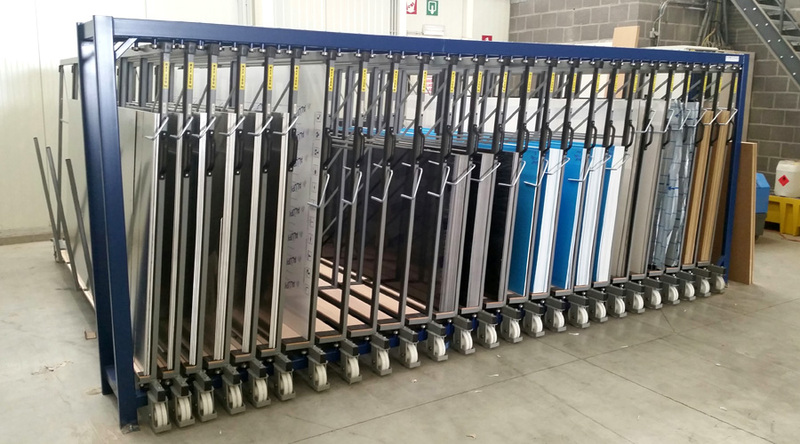 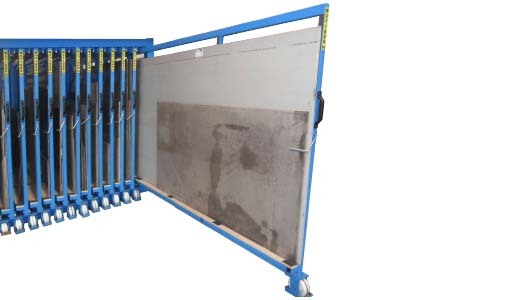 With the browsing function you can browse your metal sheets and retrieve the desired one from the rack. 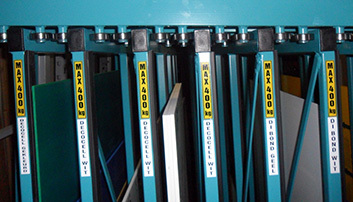 The non-skid strip at the bottom of each drawer prevents the metal sheets from shifting.